Anything I talk about from now on will be labelled #ukpolicestation. This is my idea from a question I had about how the Police get a message out to the people or how the People get hold of the Police. Every town or village has a station or a Police House years ago. Now - not so much. With the internet now in full swing, it's quite common for a city of 300,000 people to have three walkin stations. All the rest operate as a base or an office. I'm not looking for them to be opened back up, just everything to run efficiently. As I said earlier, it seems the new #ukpolicestation lives in our pocket. Mobile and Tablets are here - we wear computers on our heads, on our wrists and crane our necks looking at a screen on a bus or train. I'm involved in many creative areas, #bloggertalk, #connectedclassrooms and #hangoutsonair - all have a common theme. Anyone can do this which means Anyone can become their own Media Company - and that means the UK Police. So what have they been up to in the past year? Twitter The total number of followers is 1.5 million, up from 0.9 million last year. The average growth rate for followers has been 77%. 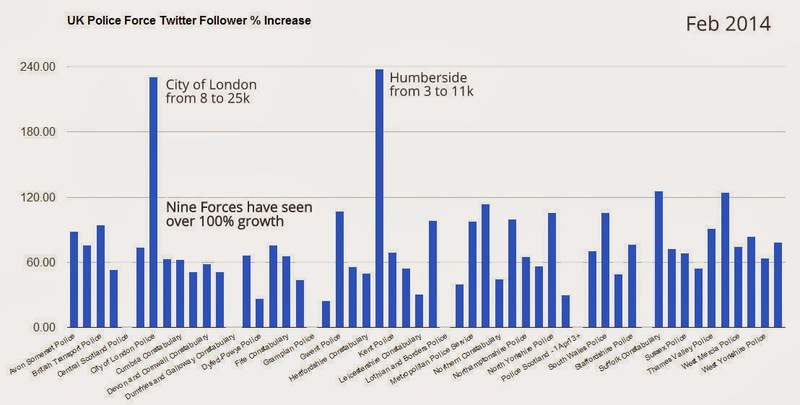 Nine forces have doubled their followers with City of London (230%) and Humberside (238%). Every force is unique, so sometimes I look at numbers, sometimes percentages. Bottom line, Twitter is popular, growing and fits in your pocket. Facebook I've included a chart, but everyone who knows me, realises I'm no facebooker - I spent about a minute a week in there. So, if you want to gather facebook in depth data - be my guest. Measuring likes is chaotic for me, wish there was a better way to get an overall picture. Likes seem to have increased by 193%. YouTube Subscribers last year I said video was a massive growth area. +West Midlands Police have just flown with the idea. They've gone from 1,514 subs to 4,317 - that's 185% increase. Overall, there's a 167% subscriber increase, that's 9,946 (Jan 2013) to 21,380 (Feb 2014). 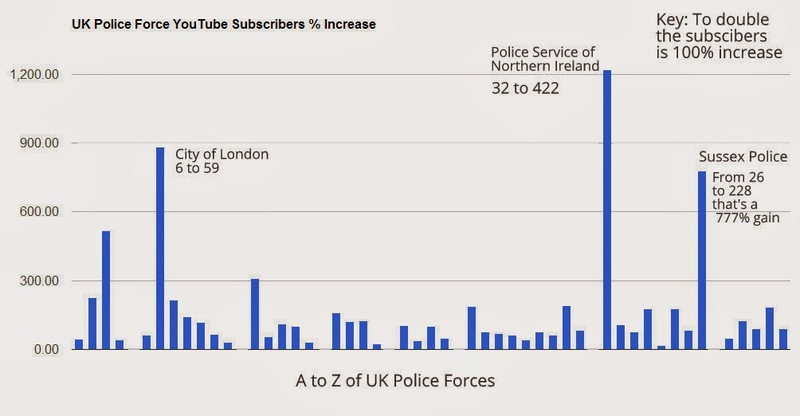 While the chart shows +Essex Police, +Greater Manchester Police and the Metropolitan Police as the four out in front.. I would look at the % increase. Here we see City Of London (6 to 59), Police Service of Northern Ireland (32 to 422) and Sussex (26 to 228). I would mark these as Ones to Watch in 2014. It takes hard work to get even one person to click subscribe at YouTube - to get 100s means you are doing something right. Video Views YouTube will tell anyone, it's watch minutes and Audience Retention as the really big metrics from now on. Those are closely guarded by channels owners, but Video Views is public, so that's all I can report. 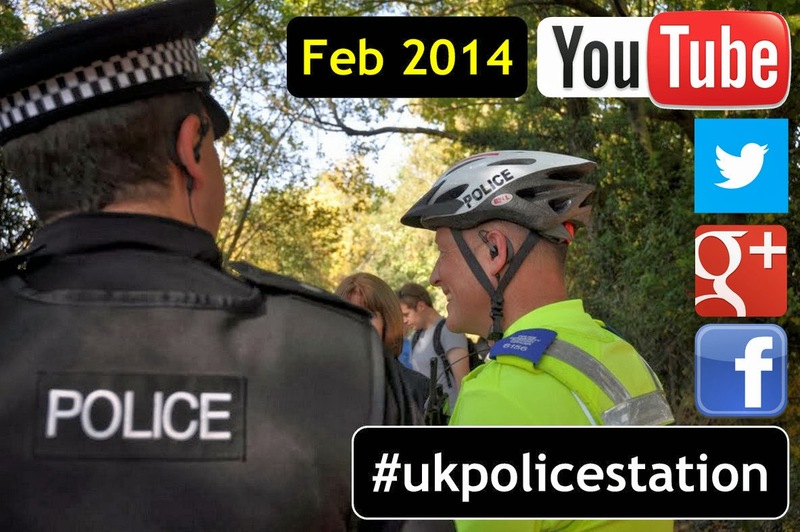 +West Midlands Police have over 4.9 million video views which of 25% of all UK Force Views (of 20.1m). Avon, Essex, Manchester, Met and West Mids make up 62% of all views. I need to research the relationship between subscribers, uploaded videos and watched minutes further. Uploads Right now, there are 4,647 video at YouTube across all forces meaning each force has about 103. This number goes up as well as down. the Police have a very good, and possible unique reason for uploading a clip, getting 1000s of view, then making the clip private again ie an appeal, arrest and impending court case. You would never hear of this happening anywhere else on YouTube ie in the music industry. 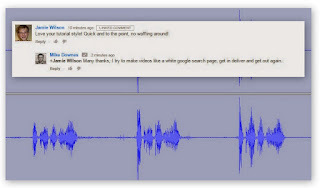 Google+ You will notice no data as I have to treat the area of the new Google+ Commenting System at Youtube very differently. For those who know, and I hope it's all of you, Google has one login, that opens up Gmail, Blogger, YouTube, Maps, Play - the whole lot. And with that comes one Police Google+ account/page and now possibly another one (which has been just for YouTube). This mean allowing comments at youtube is very important. I saw one upload (for an appeal) with disabled comments - that is just crazy. 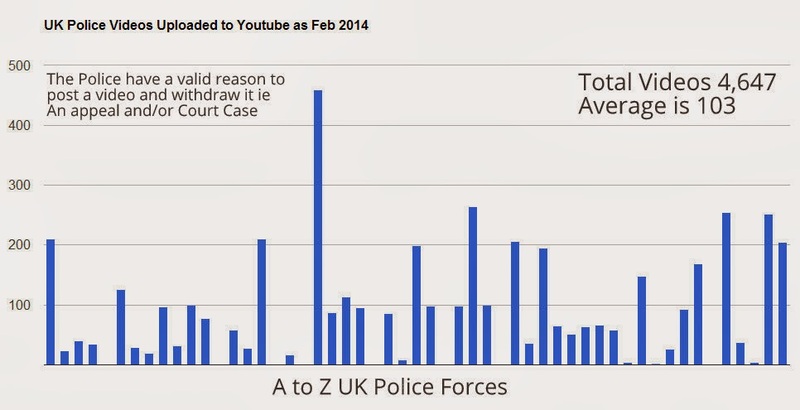 Police accounts must treat youtube as open and each manager must know any comment made and YouTube can automatically transfer to Google+ and be available in realtime Google Search (important as 90% of the UK use Google to find stuff). Tweets and facebook posts are not available that fast. 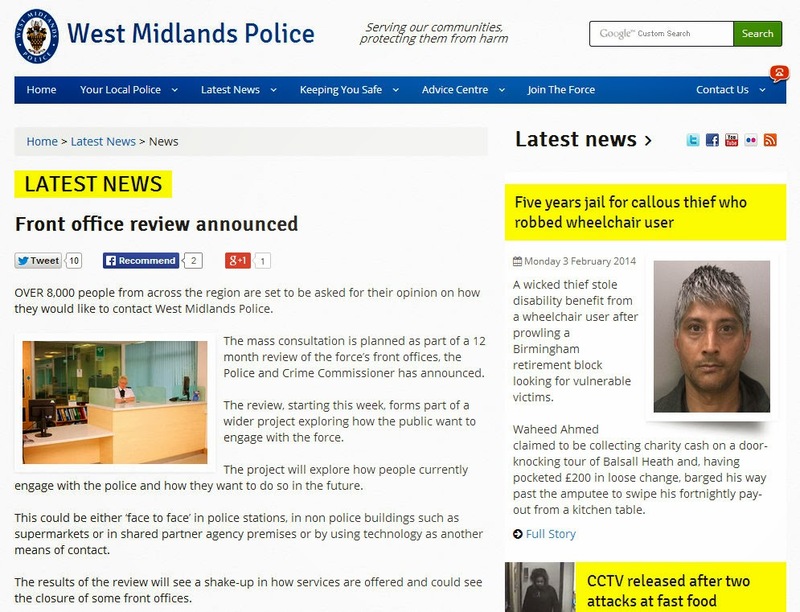 Update Mon 3 Feb West Midlands Police has posted a Front Office Review starting today, quote 'OVER 8,000 people from across the region are set to be asked for their opinion on how they would like to contact West Midlands Police ... This could be either ‘face to face’ in police stations, in non police buildings such as supermarkets or in shared partner agency premises or by using technology as another means of contact. Some of the ideas I will be showing, may seem a little out there. But they all have a point. I will be exploring new ways of looking at things. In this example, it's the 51 UK Police Website Front Pages. What do you notice? As a teacher, I need to get people thinking in new ways, so they can learn to create stuff that is interesting, innovative and in this case useful (to those who need it, fast). I'll be making a few more like this, one on Twitter and YouTube. The slide can be viewed 5100 pixels wide: Collage and Merged. I've included the Google Trends Chart again as it auto updates and is such compelling reading..
Data Set I try to produce a few charts and paragraphs that explains all. There is a public data set. It's getting a little messy now. Start with Feb 14 data set and then look at anything that starts feb14. My spreadsheets are a discussion piece - rather than referenced homework to be handed in to some academic (that said, my data is good - spot an error or have a question, let me know).